A totally live 3 piece band that sounds like much much more. 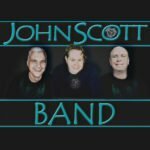 John’s diverse vocals, keys, guitar and the amazing rhythm section bring this band to the forefront of the Vancouver Scene. The JSB has been on some of North America biggest stages. Band Motto: “If you don’t learn, you don’t grow.” So the JSB delivers some of the newest, freshest songs you’ll find. Don’t miss them on the John B stage. 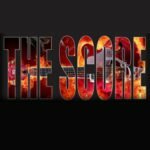 The Score has been a mainstay of the Vancouver Pub, Special Event and Corporate Entertainment scene for over a decade. A great band to see for anyone who appreciates great musicianship and solid group vocals. The band’s reputation has been built on it’s ability to get people up and having a great time dancing the night away. You’ll hear classics from all genres and eras but The Score always has a good number of current popular pop songs in the mix. The key for The Score is the audience and giving it all they have and playing the type of songs that the audience wants to hear. Now who’s ready to ROCK! 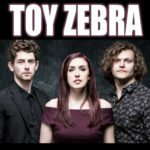 Originating with heavy rock and metal roots, Toy Zebra has now embraced a high-energy Pop/Rock sound with an instrumental and vocal prowess that comes only with time, experience and unconditional commitment. Each member offers unique skills that, when combined, gives them tremendous versatility and the ability to move seamlessly between multiple genres, be it Pop, ’80s arena Rock, Motown or even Country. They are evidently a band without limitations, capable of producing four lead singers and a wall of massive four part harmony. They indulge audiences in an exuberant live show that immediately transforms any setting into a full-blown concert. Their collective chemistry and experience shines through in their presence and confidence onstage, delivering fans an exhilarating and uplifting energy upon which to thrive. And although they are serious and highly dedicated musicians, they aren’t afraid to bust out flashy red blazers, wacky dance moves and moments of Prince-inspired falsetto. CARS ON MARS is a trio tailored for fun and dancing. Ried and Hache were bandmates for 12 years in Troys R Us (www.troysrusband.com), the house band at the world famous Roxy Cabaret in downtown Vancouver, BC. Recently they have hooked up with the multi-talented, Lance Chalmers, who has been the drummer for many bands; including 10 years in the iconic Canadian band Trooper. 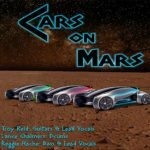 Over the years they have developed a very eclectic song list, and CARS ON MARS will transport you through time, with hits from the 70s, 80s, 90s & 2000s. Together, the trio has a big sound and very powerful vocals and will definitely keep your party going!